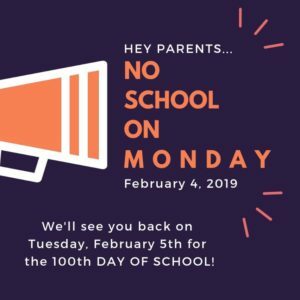 Friendly Reminder – No School on Monday February 4th. We will see you back on Tuesday, February 5th for the 100th Day of School. Thanks!